The Champion Mamba. To most experienced disc golfers, this disc seems to not even merit a glance. “IT’S TOO FLIPPY!” or “THEY COME OUT WITH A NEW DISC EVERY DAY!” are some of the responses I overhear when talking about gear with my friends. However, with the Mamba, I actually have to tip my cap to Innova in some respects. They’ve come out with a disc that is unique. Maybe it’s not good in the wind. Maybe it’s too flippy for a real ‘rip’ from an experienced pro. Despite this obvious list of drawbacks, the Mamba is still a useful disc. The crux of the Mamba is the fact that’s it’s understable. Actually, it’s VERY understable. That being said, you still have to bring the disc up to it’s ideal speed to experience this understable flight. The Mamba is a speed 11 disc. This is the same as the Wraith. A Teebird is a speed 8. I will spare you the lesson of disc speed vs. disc stability, but let’s just assume you understand what all those flight numbers mean. The increased speed, no matter your skill, gives the disc a combined “flight path + distance” that certain slower armed players have yet to attain. In other words, if you’re slightly noodle-armed, or just not that aggressive when you throw a drive, the Mamba will let you throw a controlled, long distance anhyzer without sacrificing accuracy. You can aim at a target straight ahead, and the Mamba will turn and anhyzer before it hits that target. This sounds like a simple explanation, but in my opinion it is a pretty big deal. There are a lot of folks out there who play just one or two courses on a regular basis; with most courses averaging holes around 250-300 feet. The Mamba can be the key to finally throwing drives on a hole with a back-hand and seeing good results. For a righty, maybe it’s a 270 foot hole that has a protected basket off to the right. Maybe your friends who throw side-arm always park this shot. The Mamba can get there with a back-hand. The Mamba’s rim. About the same size as a Wraith but with only about half the depth. I’m not trying to set up a sales pitch here. However, the first time I threw the Mamba I liked it. I was in an open field, and I was just throwing controlled ‘nose-down’ hyzer flip shots. I wasn’t aiming for anything in particular, and I can’t recall how far the disc flew. It was just fun. Call me crazy, but the best part of disc golf is the flight of the disc. 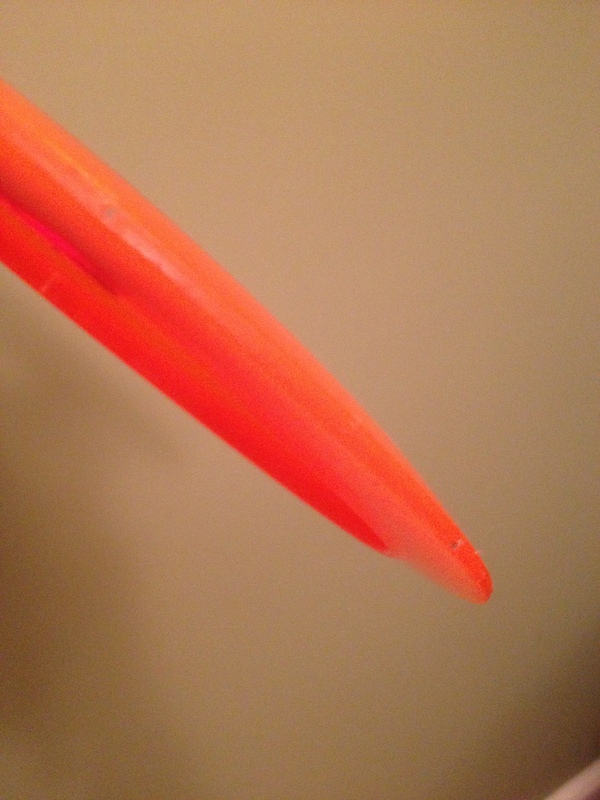 When I was throwing the Mamba in an open field with little to no effort, I just enjoyed the flight of the disc. It flipped up, it turned, it had plenty of glide. In the end I have two main responses to the Mamba. The first response is geared towards the players who yell, “IT’S SO FLIPPY IT JUST TURNS INTO THE GROUND AND IT’S USELESS.” I don’t understand how people can grab a disc they KNOW is understable and throw it as hard as their Nuke. Maybe they aren’t throwing it THAT hard, but they are certainly are missing the point of the disc. Innova obviously didn’t design this distance driver to turn into the ground. Maybe try throwing it softer?! Maybe try putting the nose down?! Maybe expect that the disc is going to turn and use that to your advantage?! The second response I have to the Mamba is simply that it occupies a unique area on the flight chart (Check out the Marshall Street Flight Guide HERE!). The speed and stability (lack there of) offer players an easier way to throw shots that have an ‘anny’ path. If you were going to throw an anhyzer during a round, would you prefer to throw it with MORE or LESS power? The Mamba is a disc that requires much less power for it’s high speed turns. The important thing to keep in mind when throwing the Mamba, is to have things under control. If you’re unaware of your body-mechanics, or you just like to ‘let it rip,’ you probably won’t enjoy the Mamba. 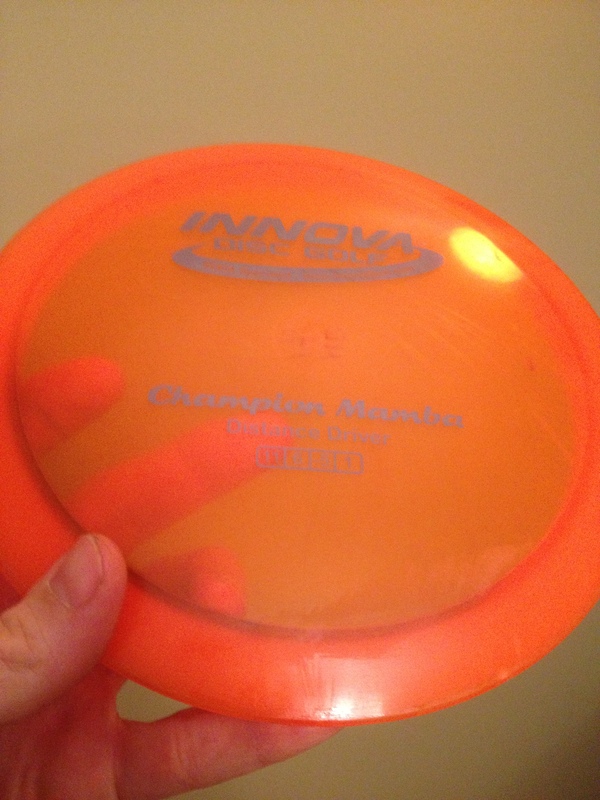 However, if you find that most every driver you throw is a hyzer disc, I would recommend trying the Champion Mamba. Perhaps a weight between 165g and 170g. And once you do try it, let me know how it works out for you. Call me up, I’m always home. My number is 1(900)-HOT N’ STEAMY… ok, that’s not my number… but I do wish I could prescribe a Mamba to a handful of players I’ve seen and then track their results! GIMMIE 50 CC’s of MAMBA STAT! Good luck ya’ll.